Listening to this split CD is like watching someone rise, naked, from bed in the morning, laze around the house for a few hours, gradually don formal dress, walk outside, and get hit by a car. It traverses, in a leisurely 39 minutes, the distance between the softest whispers and the loudest screams, encompassing at either pole the lullaby and the murder ballad. It also displays modern folk music in both contemplative and ecstatic modes, as a soft tracery of whispers and strums and as a ragged tapestry of trembling strings, simmering organ, and tumultuous gusts of distortion. Julie Doiron, who starts things off, began her career as the 18-year-old bassist for Canadian lo-fi darlings Eric’s Trip, with whom she recorded three acclaimed albums for Sub Pop before striking out on her own after the group’s demise in 1996. Doiron’s second solo outing, Julie Doiron and the Wooden Stars, netted Doiron Canada’s prestigious Juno award in 2000; since then, she has published a book of her photographs with New Brunswick's Broken Jaw Press and released three subsequent albums on Jagjaguwar. Doiron’s half of this split - five solo performances recorded at her home in the mornings and evenings of December 2002 –represents her most startlingly intimate and unguarded work yet. Where in the past she has either carefully draped her songs in rainy cascades of electric guitars and shimmering keyboards or presented them elegantly spare and immaculately recorded, here Doiron casually sketches out her songs, leaving in fumbling fingers, missed lines, and sounds from the next room (including those of her four children). These new songs find their writer more content than she has perhaps ever appeared on record, singing lullabies to her family, love-songs about sleeping in on snowy November mornings, and affectionate tributes to her favorite musicians. 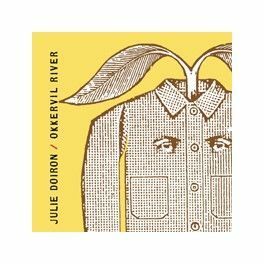 Where Doiron’s approach to modern songwriter-based folk is homey and uncluttered, her Jagjaguwar brethren Okkervil River offer instead something more far turbulent. Building on the sound of their critically-praised Don’t Fall in Love with Everyone You See, this Austin, TX group here mixes skeletal folk, lush chamber pop, and supple rock and roll in service of the literate, uncompromising songs of frontman Will Sheff. “He Passes Number Thirty-Three,” a sidelong tribute to missed chances, starts off as delicately as Doiron’s whisper-quietest moments before turning into a contemplative ballad and, just as quickly, a towering prog-soul singalong. And then, once the distortion subsides, the paired murder songs hit and Okkervil River promptly steer this split out of the sun room and onto the chopping block. 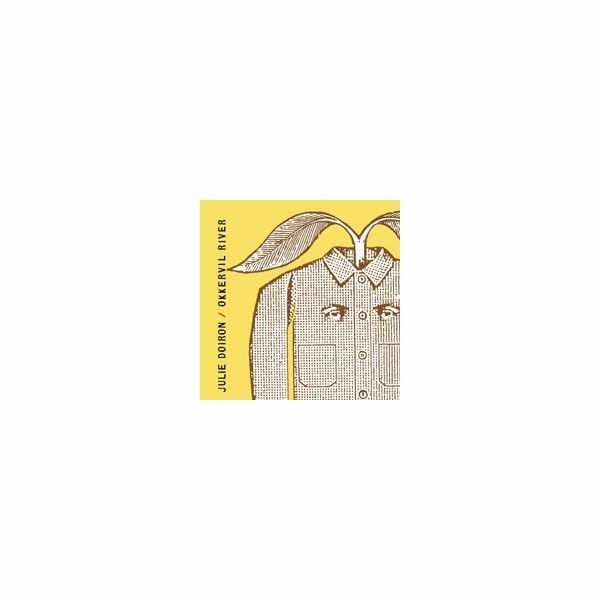 Coming so quickly on the heels of Doiron’s intimate strummings, these songs (one of them a version of the American traditional “Omie Wise”) are an alarming but aesthetically bracing change, the kind of weird and welcome surprise that only a split CD can fully deliver. But don’t worry, the detour is only brief; and the album’s last track, “Blackest Coat,” quickly ushers the listener, shaken but unharmed, into a tranquil bedroom where moonlight streams through the window, brighter and brighter until everything inside is finally smothered in warmth.